Play Unplugged has a video interview up they did with Eloy Lasanta of Third Eye Games. Play Unplugged’s non-copyright infringing Sgt. Murder is on the scene at Gen Con Indy 2012! His first victim, Eloy Lasanta of Third Eye Games. Fans my know Eloy as the creator of excellent indie RPGs such as API, Wu Xing, and Part Time Gods. 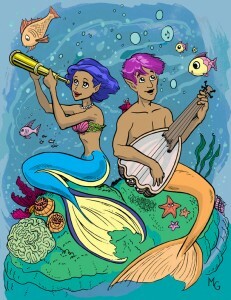 Eloy discusses his latest project Mermaid Adventures, an RPG geared for players of all ages with kid friendly themes.